Initial Numbers for ACA Enrollment – Over 600,000 Sign Up in the First Four Days! However, this trend doesn’t predict overall ACA success as the numbers tend to fall off during the latter part of the enrollment period. The sickest people who need insurance the most tend to sign up first, but the success of the ACA marketplace also depends on healthier people signing up to balance the risk pool. It is important for all of us to keep spreading the word about the enrollment period and where to find help with the process (see below). Open enrollment is only half as long this year (Nov 1 – Dec 15). Discounts on health coverage (through tax credits and cost sharing reductions) are STILL available to those who qualify. It’s important to shop around – the pricing of premiums is very different this year. In Illinois, you can go to HealthCare.gov or GetCoveredIllinois.gov. Eighty percent of people can get a plan for $75 or less and many in Illinois can get a bronze plan for free. You may qualify for 2018 tax credits even if you didn’t in 2017. If you aren’t eligible for tax credits (check this calculator to make sure), go to GetCoveredIllinois.gov and see if you can find a cheaper plan off marketplace. Free help is available! If you have questions about signing up or want to talk through your options with a trained professional, you can make an appointment with a trained navigator here or call Get Covered Illinois at 866-311-1119. The POP (People Over Party) Workshop will bring Miranda Wilgus of ACA Consumer Advocacy in to update you with the latest information on the ACA sign-ups, Medicare and Medicaid, and answer your questions on health care coverage. What Is the Latest on the Rollercoaster Also Known As the ACA? At the North Shore Indivisible meeting today, Miranda Wilgus of the ACA Consumer Advocacy group updated us on some of what has been happening with the Affordable Care Act (ACA). The first item to know and to publicize among your friends and relatives is that the ACA enrollment period is shorter this year, down to 45 days instead of last year’s 3 months! ACA enrollment starts Nov 1st and runs only through December 15. In addition to shortening the enrollment period, the budget for publicizing information about the ACA has been radically slashed, leaving it to advocacy groups and service providers to spread the word. Another obstacle to sign-up : the website will be down for “maintenance” every Sunday for 12 hours (!). If you need help finding a navigator (someone who can help guide you through the enrollment process), visit Get Covered Illinois for assistance. After much flip-flopping, Trump signed an executive order to stop the Cost Sharing Reduction (CSR) payments. These are payments for the silver level of ACA policies that reimburse insurance companies for the extra discounts they must give so people pay less for deductibles, co-pay and co-incurance. The Attorneys General of 19 states (including IL) are suing the administration to reinstate these payments as they required by the law (The Affordable Care Act). In the meantime, the cost of silver policies are expected to skyrocket. Consumers should look at all levels of the policies on the ACA marketplace. In some cases, gold policies (which offer more coverage) may even cost less than the silver level. Do not let “auto-enroll” re-sign you for the silver level until you have checked out the alternatives. Pay attention to details! Sometimes prescription plans will not go into effect until medical deductibles have been met. Consumer Alert! Some disreputable insurance brokers have been cold-calling customers to sell them cheap health care policies, claiming they are part of the ACA marketplace and that they are “qualified” although they are not actually qualified. Qualified policies provided coverage for the Essential Health Benefits mandated by the ACA. If you buy an unqualified plan, you will be liable for the tax penalty when you file your taxes (see below). Trump signed an executive order that the IRS not enforce the ACA tax penalty mandate. This is non-binding and the IRS will still be enforcing the tax penalty! Other recent executive orders: allowing associations to offer health insurance policies that do not have to follow ACA mandates and allowing businesses to not offer contraceptive coverage on the basis of moral objections as well as previously allowed religious objections. For more information about getting covered, or if you would like to get involved, visit ACASignUpProject.com . Downloadable fliers to publicize enrollment information are available in English and Spanish at Indivisible ACA Signup Project Gallery. There is a bipartisan bill in the Senate put forward by Lamar Alexander (R-Tenn.) and Patty Murray,(D-Wash) which would restore the CSR payments and help stabilize the ACA marketplace. 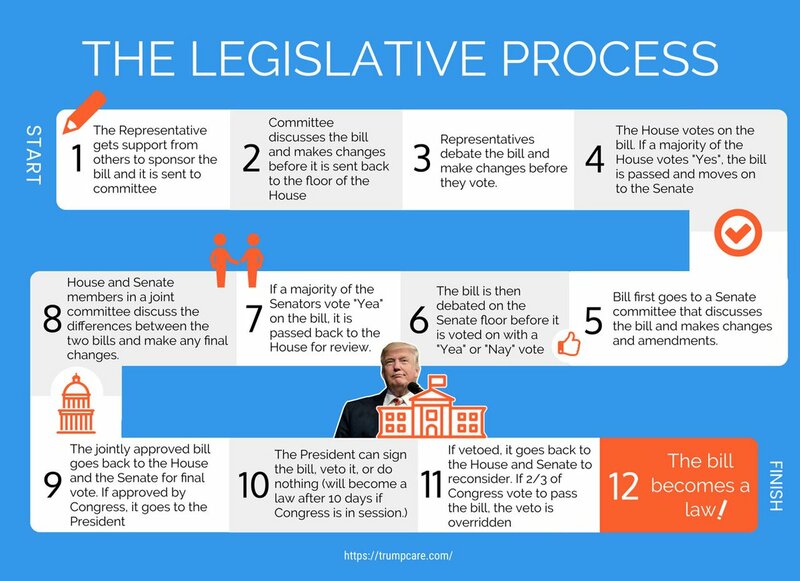 However, Mitch McConnell, Majority Leader of the Senate, will only bring the bill forward for a vote if Trump will promise to sign it. As of now, Trump has expressed support for it, withdrawn support for it, called CSR’s “pay-offs to insurance companies” (false) and has made other demands. The status of this bill changes by the day, occasionally by the hour, so stay tuned for further updates! Action: Advocate for fixing ACA instead of repealing. Call: Your 2 Senators, red or blue (lookup or leave message). Script: Hi. I am calling because I want good, affordable health care and am tired of watching Republicans fail over and over because they’re not listening to constituents. I want [name] to start fighting for fixing what’s not working in the ACA. I want to see Senate bipartisanship and transparency in this process. Thank you.